We are delighted to announce that the exciting Australian soprano, Kate Ladner has joined our roster. 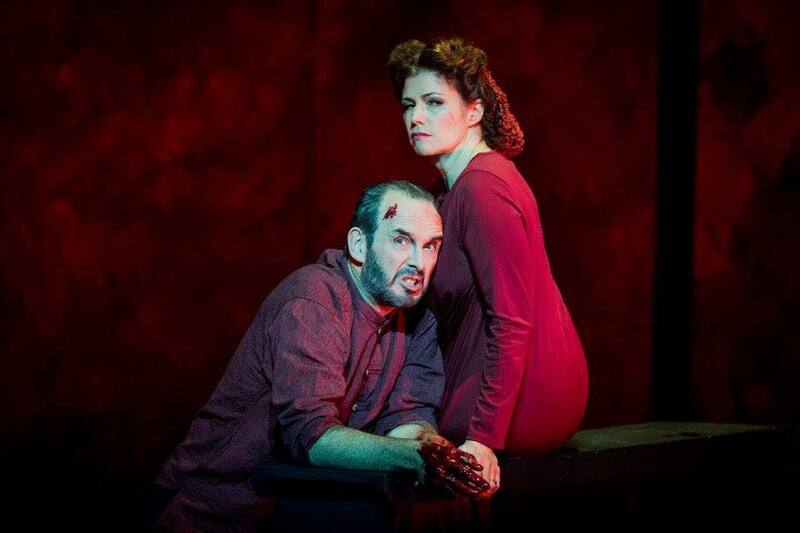 Kate recently enjoyed great success singing the pivotal role of Lady Macbeth in the new Elijah Moshinsky production at the Buxton Festival conducted by Stephen Barlow. “Ladner’s Lady was clearly dominant but this was very much a partnership, both she and Gadd drew a strong relationship with the synergy between the two being quite remarkable in the first act in moments like the dagger scene. Ladner drew a remarkable portrait of the Lady, her body language never wavering whether she was singing or no. This version of the opera has more coloratura elements in it (in the revised version Verdi introduced ‘La luce langue’ to replace an aria seen as too elaborate). Ladner made the coloratura telling, singing with a vibrant sense of character and drama…it was a very fearless performance. What Verdi wanted was not bel canto but character, and Ladner gave us this in spades. Other favourite roles include: Juliette Romeo et Juliette (SOSA, West Australian Opera) Nanetta Falstaff (Garsington Opera), Manon Manon (English Touring Opera), Violetta La Traviata (OA, SOSA, ETO, Macedonia Opera), Marzelline in Fidelio (Opera Northern Ireland), Opera New Zealand (Zerlina – Don Giovanni), Aida (SOSA). Kate has performed der Waldvogel, Woglinde , Freia, Helmwige and Third Norn in two Wagner Ring Cycles produced in Australia, conducted by Jeffrey Tate and later with Asher Fisch. As a regular performer with Opera Holland Park, London, Kate’s roles include Violetta La Traviata, Contessa Le Nozze di Figaro and Magda in Puccini’s La Rondine. For the Buxton Opera Festival, she has sung the principal soprano roles in Rimsky Korsakov’s opera Kaschey theImmortal and Sibelius’ Maiden in the Tower (the first staged versions in the UK of both operas), Desdemona in Rossini’s Otello, the title role in Verdi’s Giovanna D’Arco in a new production created by director Elijah Moshinsky . Kate performs regularly on the concert platform in France, where she resides and throughout Europe . In 2016 , she performed Beethoven 9 Symphony in Auditorio Nacional de Música, Madrid. She has founded VOIX360, a vocal performance organisation producing concerts throughout the Ardèche, most recently mounting a production of Puccini’s Tosca. Kate enjoys returning to Australia, where she had huge success with her debut roles as Salome, Richard Strauss and Marguerite in Gounod’s Faust for the State Opera of South Australia. In 2016 Kate received much critical acclaim for her debut performance as Floria Tosca in Puccini’s Tosca. She has recently returned from China, where she sang la Contessa in Mozart’s Le Nozze di Figaro with the Xi’an Symphony Orchestra. 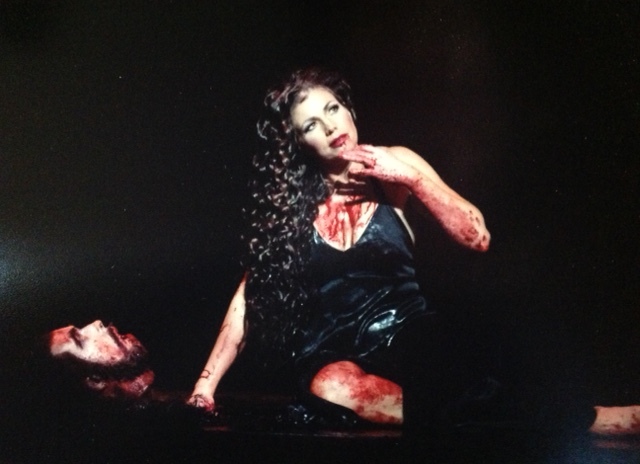 She recently completed a season of performances directed by Elijah Moshinsky, conducted by Stephen Barlow, as Lady Macbeth in Verdi’s 1847 version of Macbeth for the Buxton Opera Festival.